Enjoy the top 1 famous quotes, sayings and quotations by J. William Schickel. 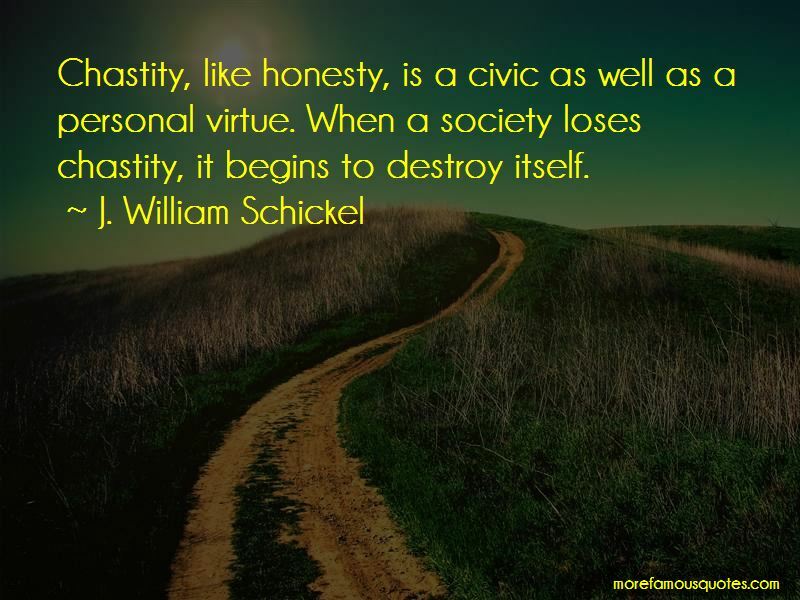 Chastity, like honesty, is a civic as well as a personal virtue. When a society loses chastity, it begins to destroy itself. Want to see more pictures of J. William Schickel quotes? Click on image of J. William Schickel quotes to view full size. “Id like to say Im not self-absorbed compared to others, but thats hard to say since Im far too self-absorbed to pry into” — Anonymous.